and iOS devices that make it easier to shop in stores and get paid by friends and family. First, you can now easily manage your gift cards and redeem them in stores using the Wallet app. Never worry about forgetting your gift cards at home again. You can also request money from friends, which means you can settle the dinner bill while you're still at the table. Lastly, sending money with your debit card is now free, making it even easier to pay your friends or the babysitter using Wallet. 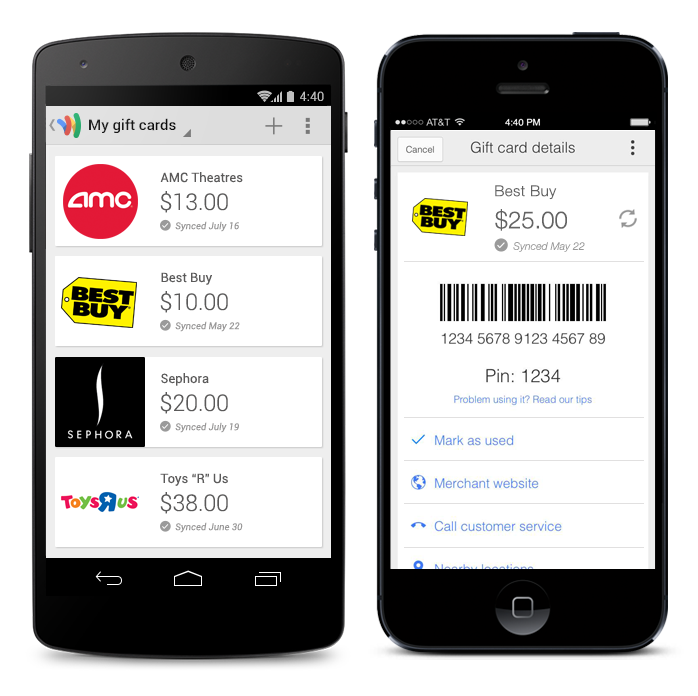 You can already store your loyalty cards and offers in Google Wallet, and now you can easily keep your gift cards in Wallet too. Add your cards to Wallet just by snapping a picture of them or typing in the card info. Then, when you want to use the gift card at the store, just show your phone to the cashier at checkout. If you received a gift card electronically, you can also save it to your Google Wallet directly from the e-gift by clicking “Save to Google.” This feature is currently available through merchants including Sephora, TGI Friday’s, Whole Foods and more. You can now send money for free in Wallet by using your debit card. No more searching around for a checkbook or waiting for your funds to arrive. 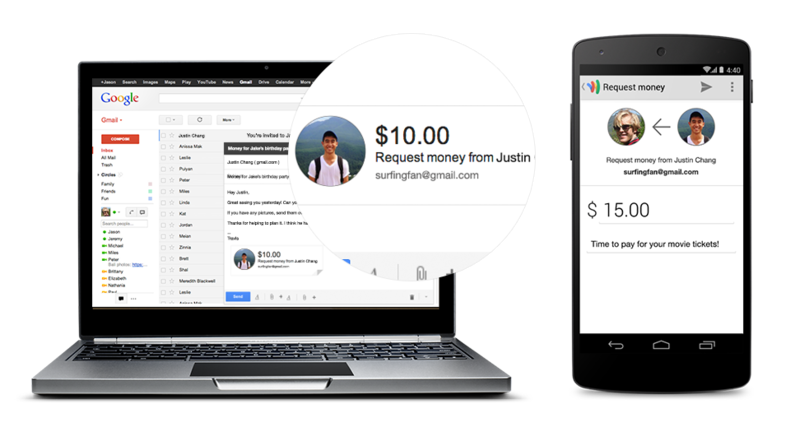 With Google Wallet, your money is at your fingertips. If you’ve activated Spanish language settings in your Android or iOS device, the Wallet app will now display in Spanish. Download the new version of the Google Wallet app on the Google Play Store and the App Store rolling out this week in the US, to use these new features. Today, we’re introducing several new features to the Google Wallet app* for Android and iOS devices that make it easier to shop in stores and get paid by friends and family. First, you can now easily manage your gift cards and redeem them in stores using the Wallet app. Never worry about forgetting your gift cards at home again. You can also request money from friends, which means you can settle the dinner bill while you're still at the table. Lastly, sending money with your debit card is now free, making it even easier to pay your friends or the babysitter using Wallet.